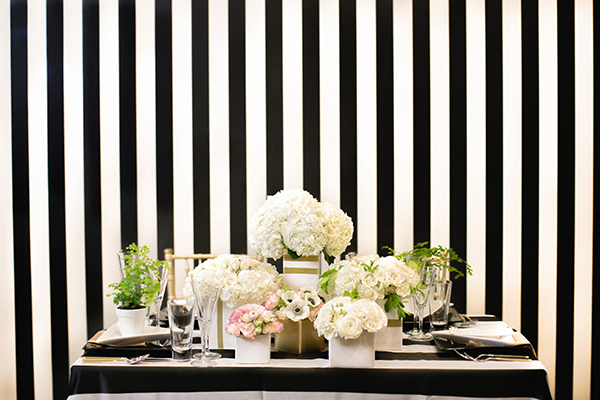 A gorgeously styled birthday party is a surefire way to win our hearts, but it’s doubly exciting when party is thrown for and by world famous bloggers! 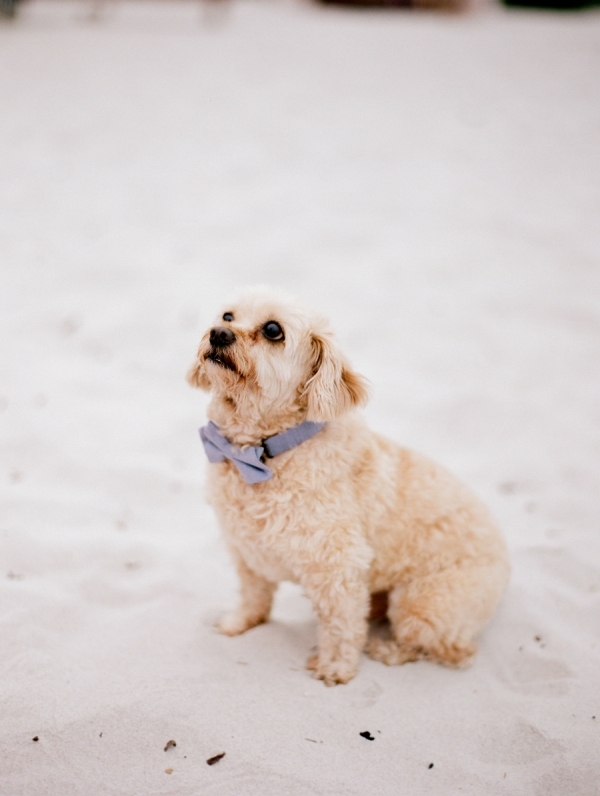 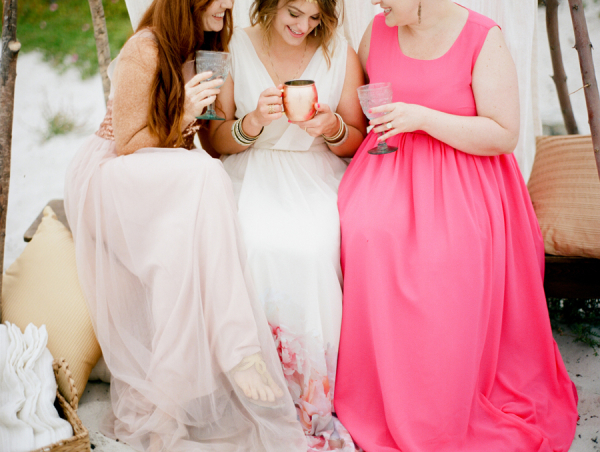 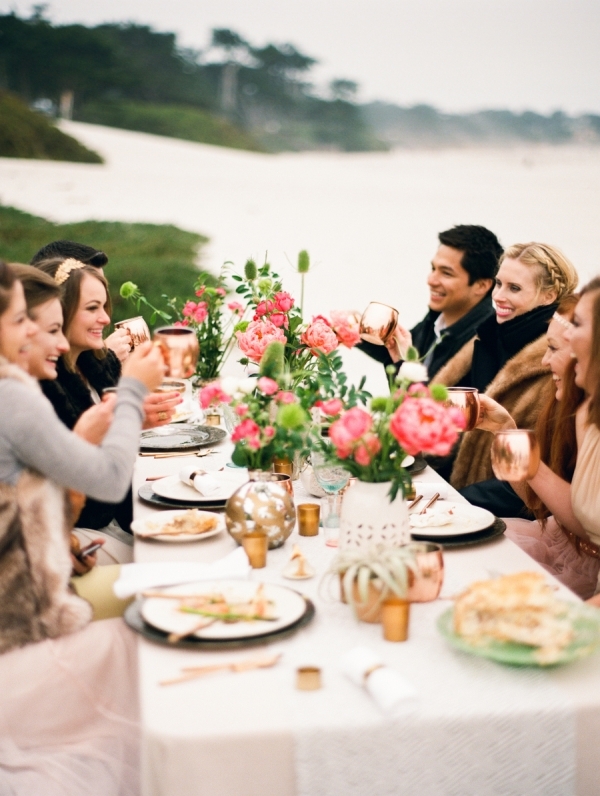 The amazing Elizabeth Anne Designs threw Jenna of That Wife an utterly chic beach dinner party, with a little help from Hey Wedding Lady and, of course, from us! 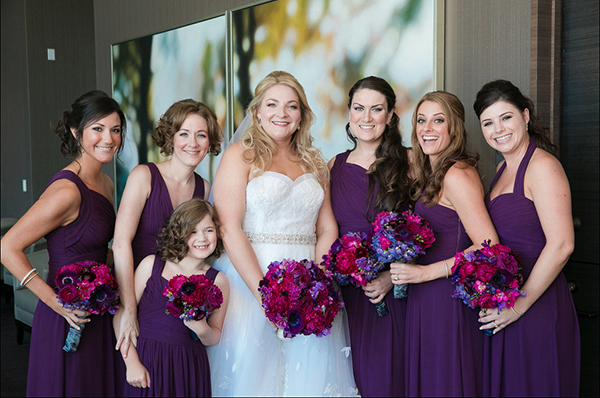 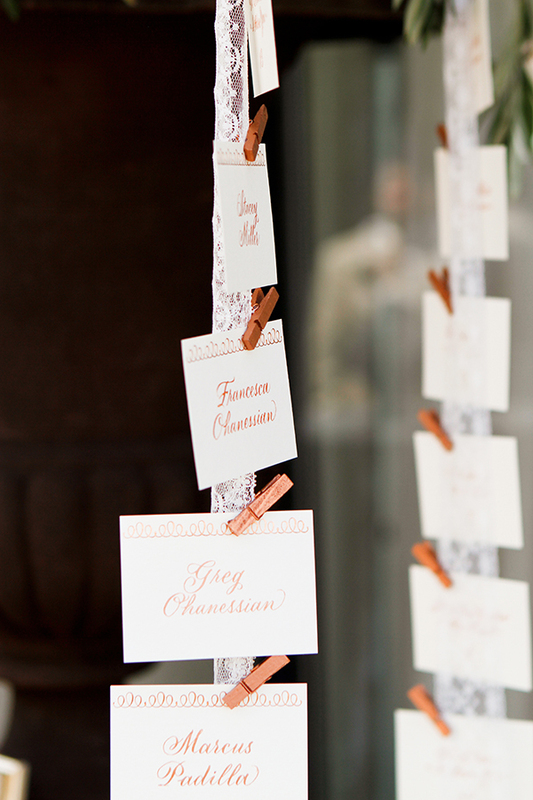 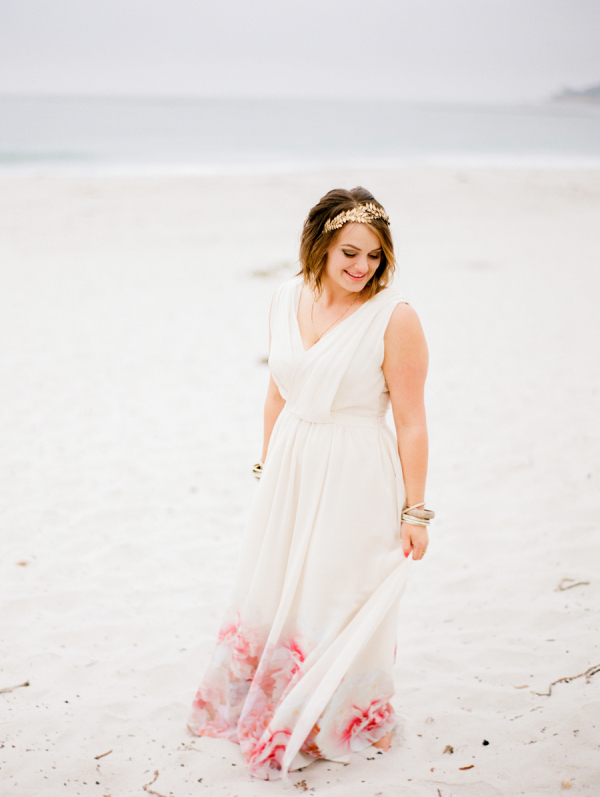 See More on Elizabeth Anne Designs! 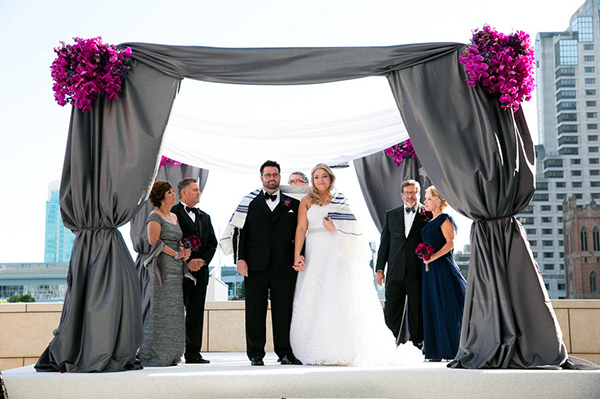 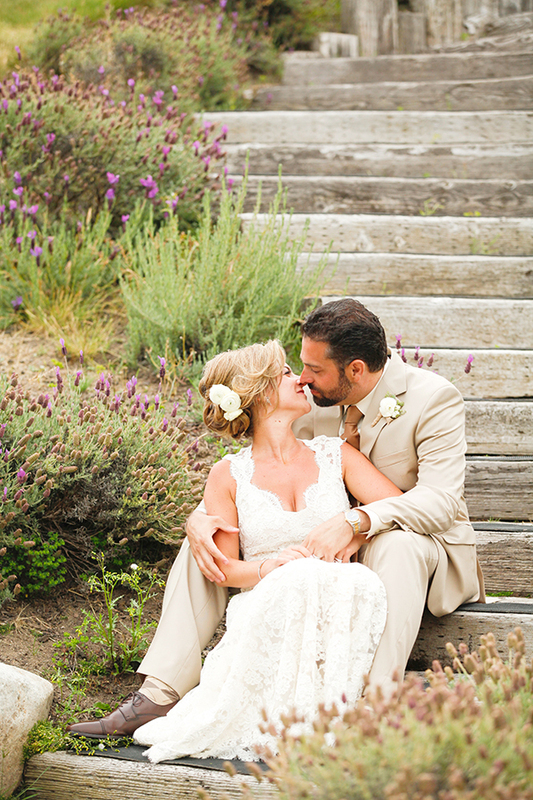 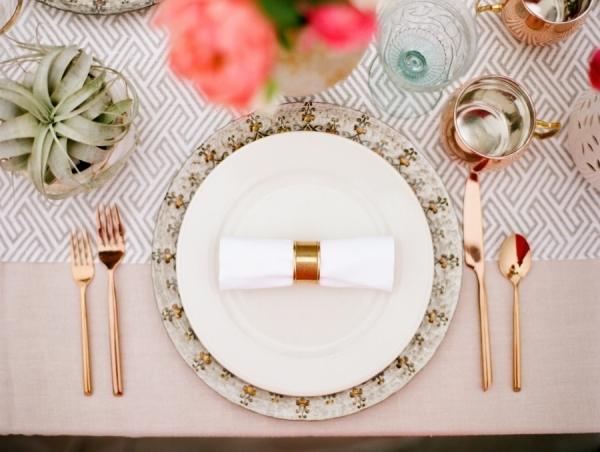 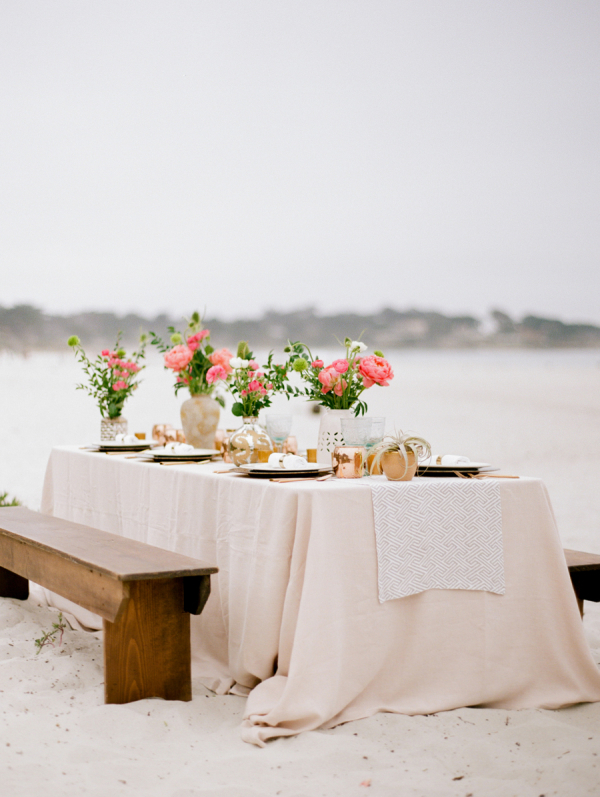 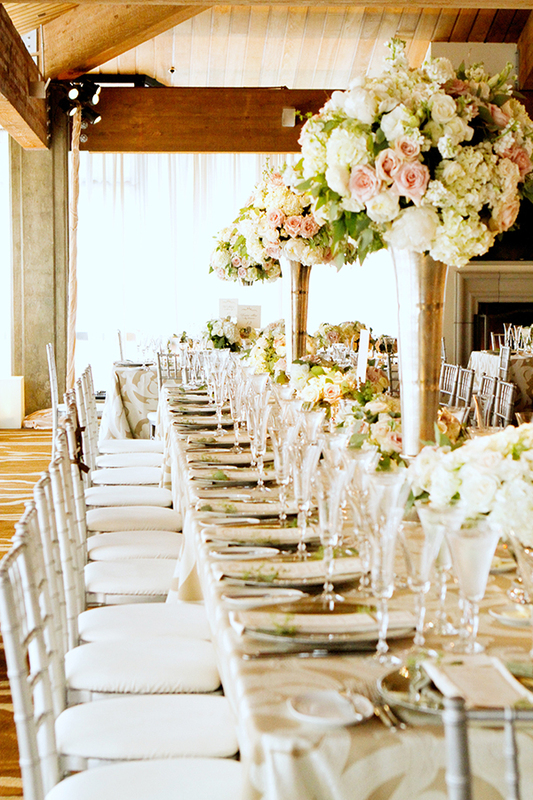 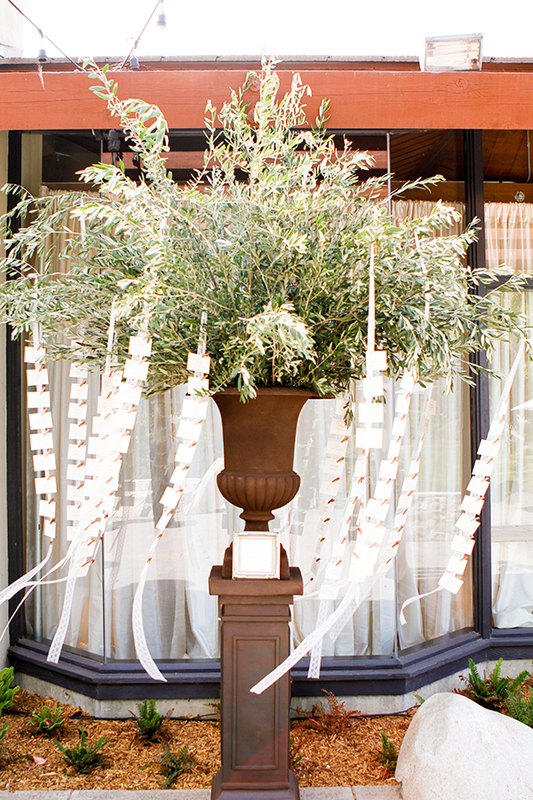 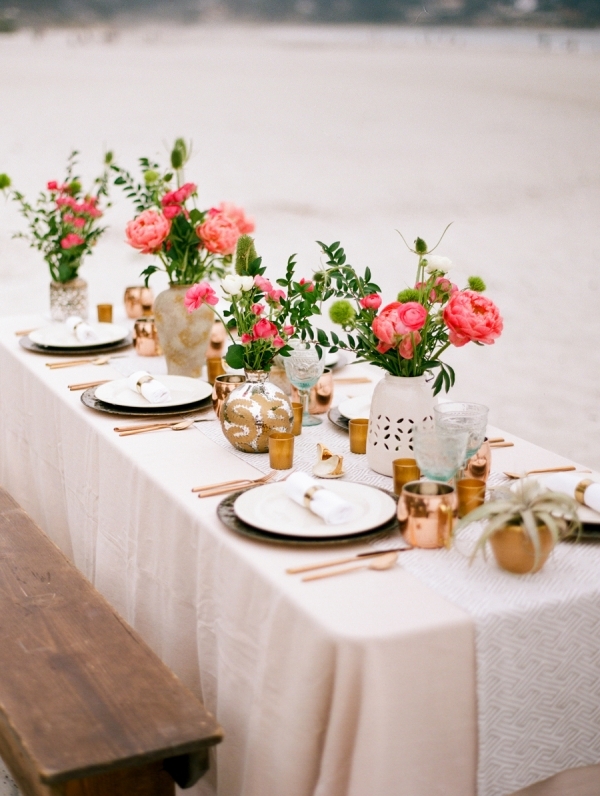 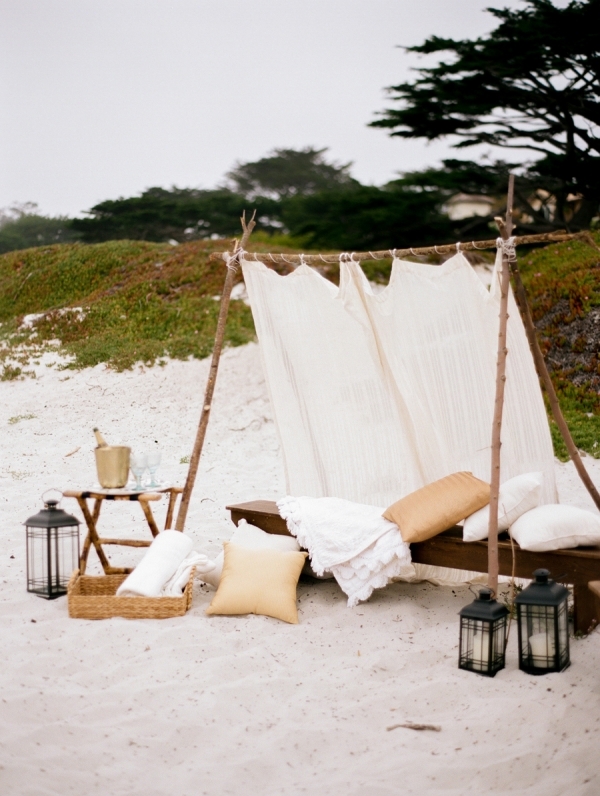 Ami of Elizabeth Anne Designs envisioned an elegant dinner party on the beach with a touch of Moroccan flair! 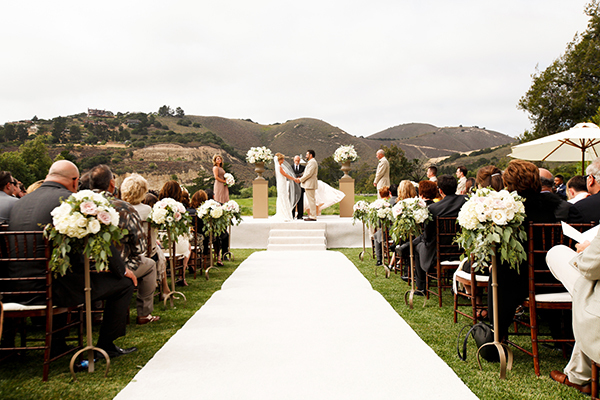 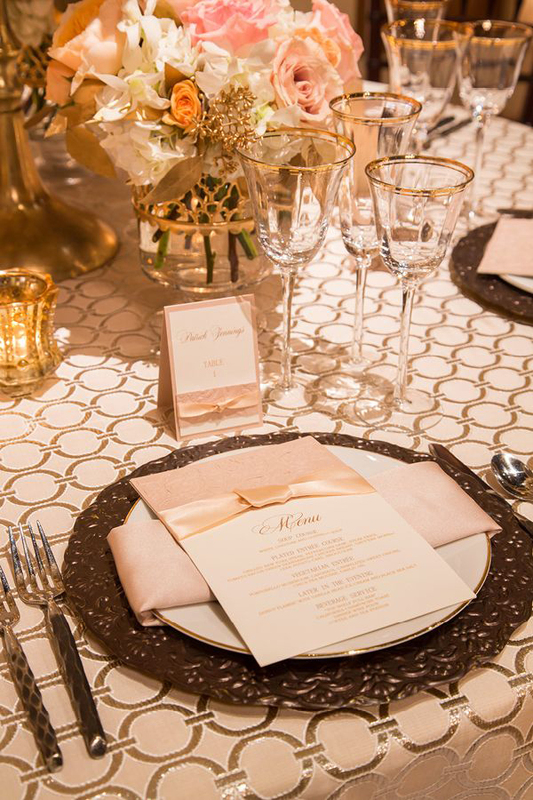 To set the scene with sand-inspired neutrals, we started with our natural Linea Bone linen on a table made of stacked palettes. 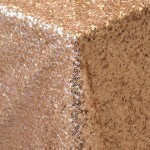 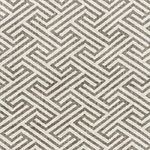 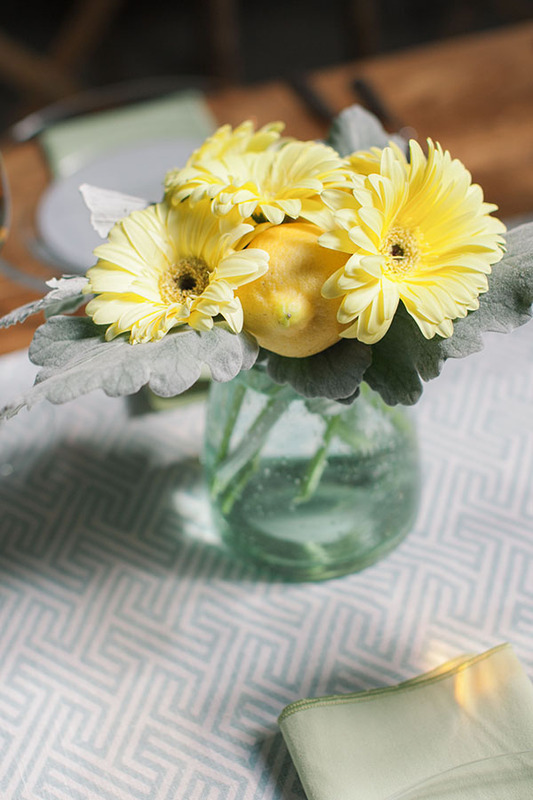 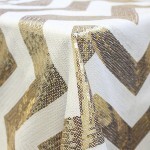 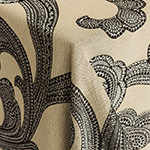 Our Tetris Stone Table Runner added a hint of pattern that was picked up by the chargers in rich metallic shades. 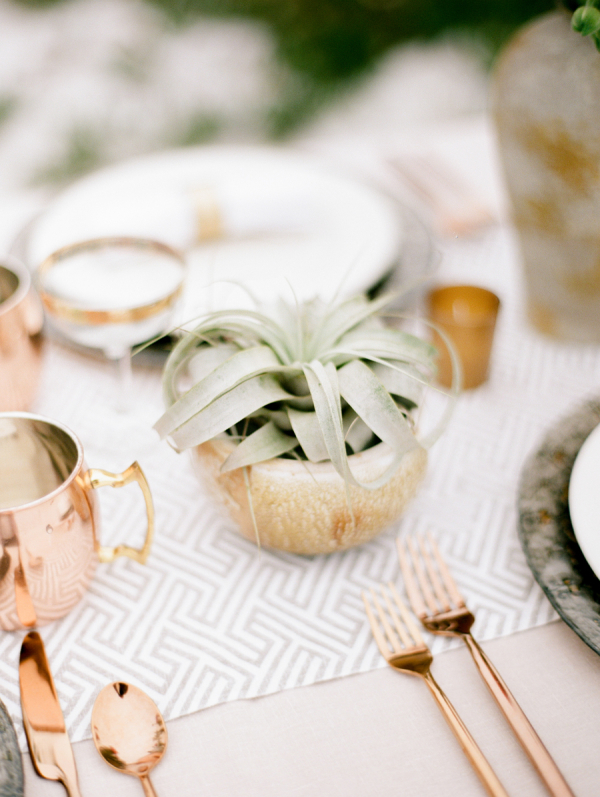 Copper mugs for Moscow Mules added another metallic pop to the table, with vivid coral peonies and sea glass bottles on our natural linen canvas. 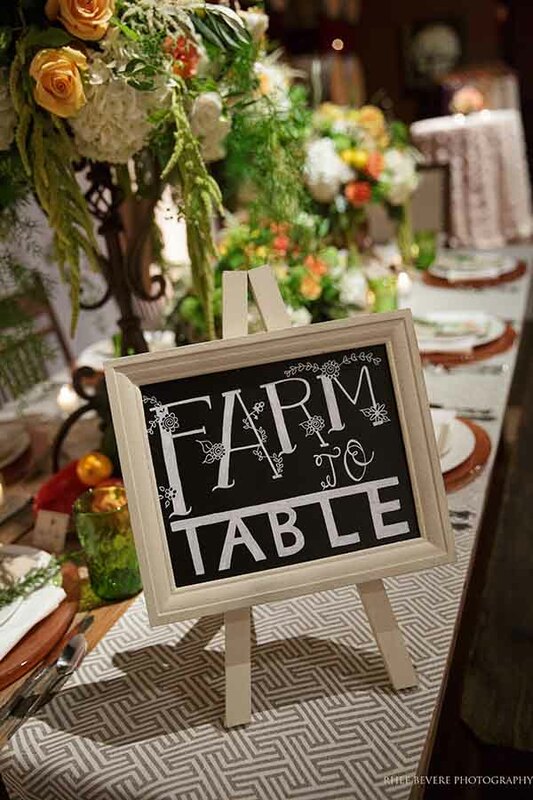 The guests were just as well dressed as the table, and there’s just no way we can resist a party with an adorable doggie guest! 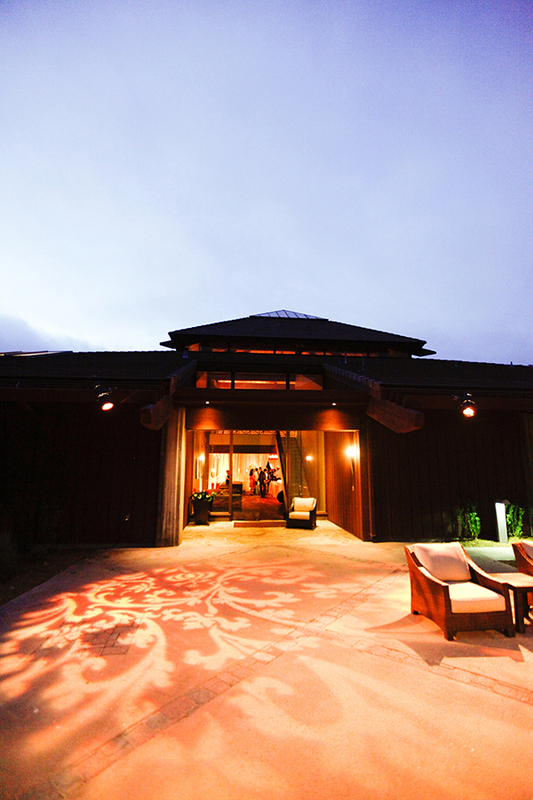 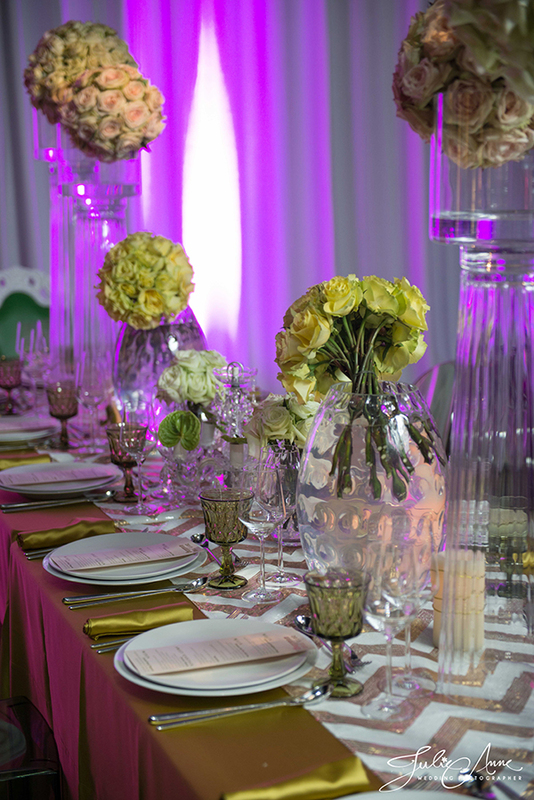 We had the honor of being the linen sponsors for this year’s TSE The Wedding Show! 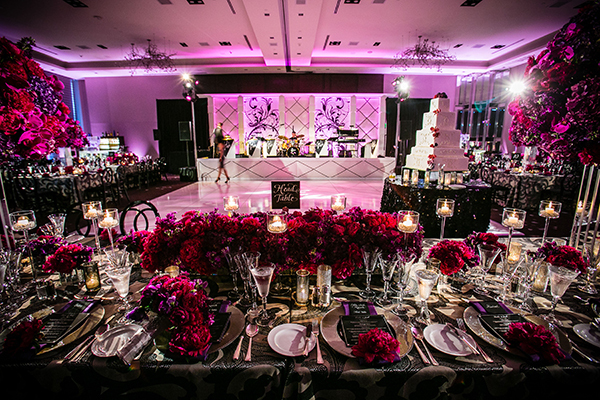 We collaborated with BrownHot Events to create a reception that showcased the show’s luxe style and vibrant SoCal vibe with bold colors and sparkling metallics! 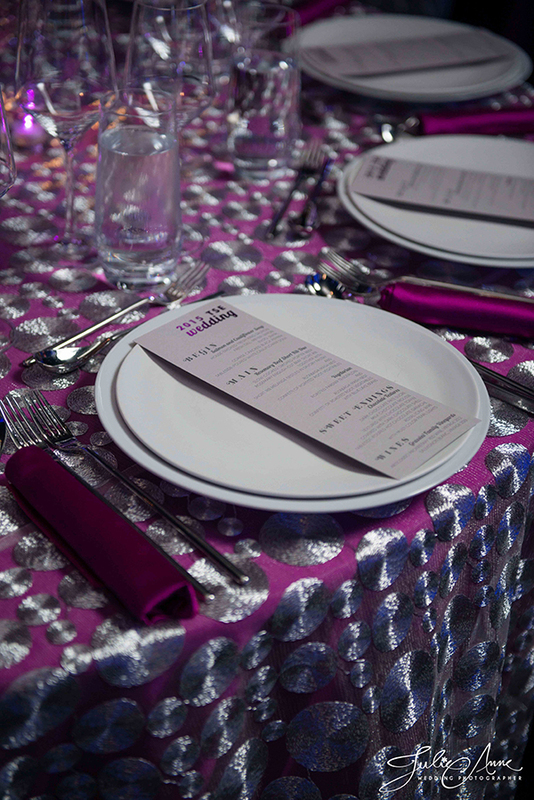 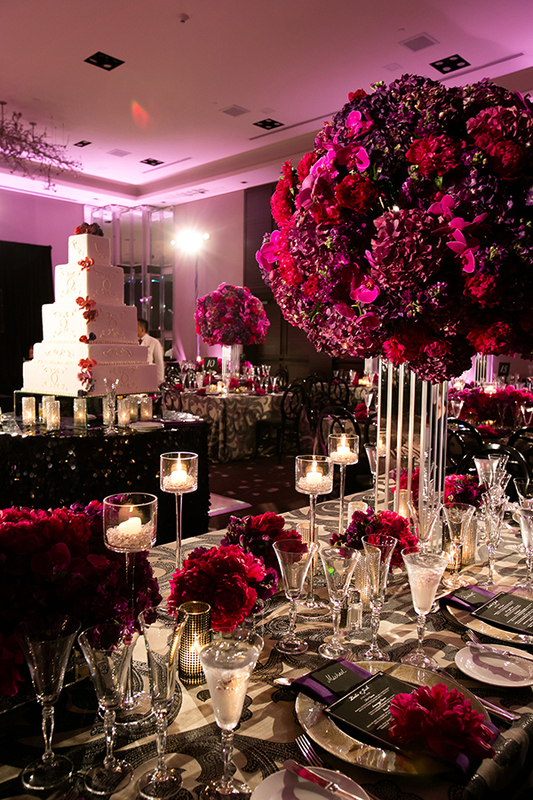 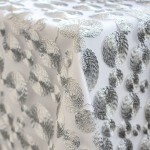 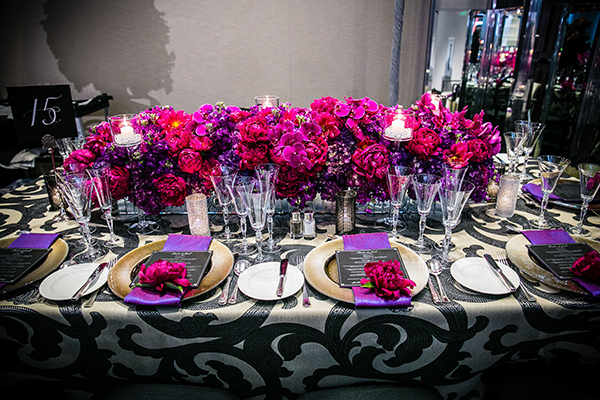 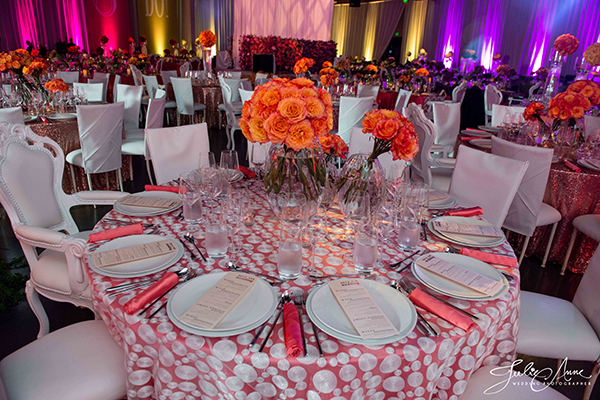 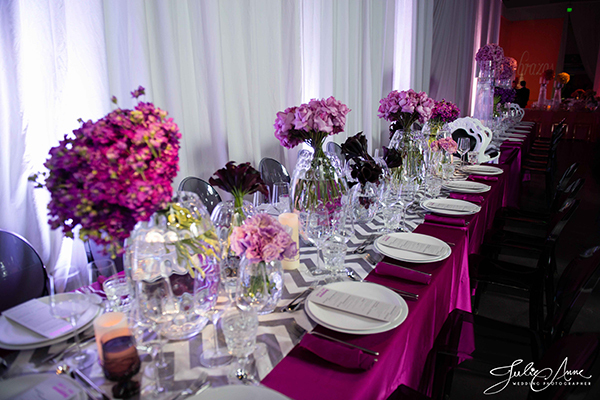 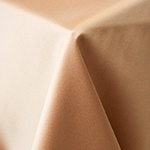 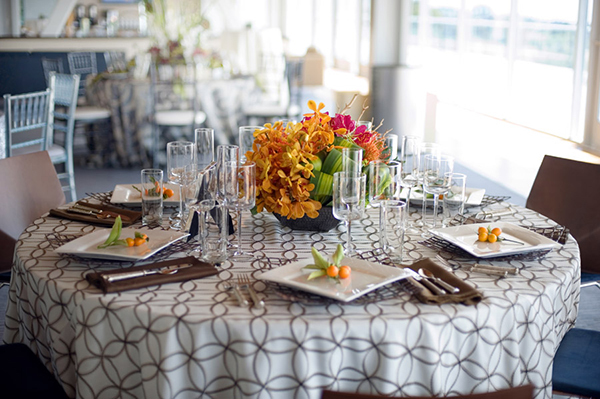 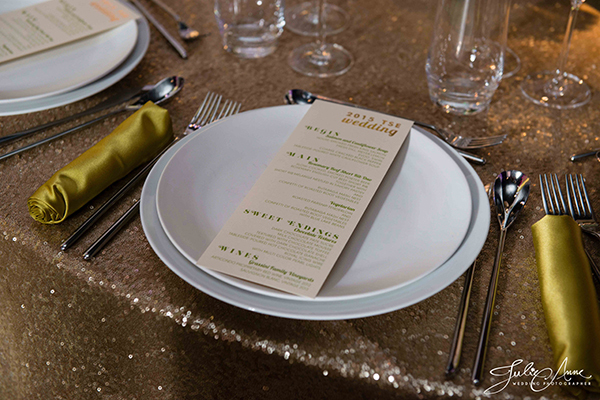 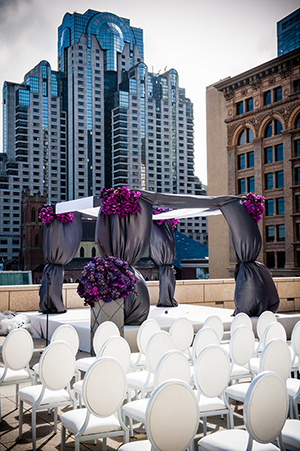 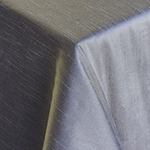 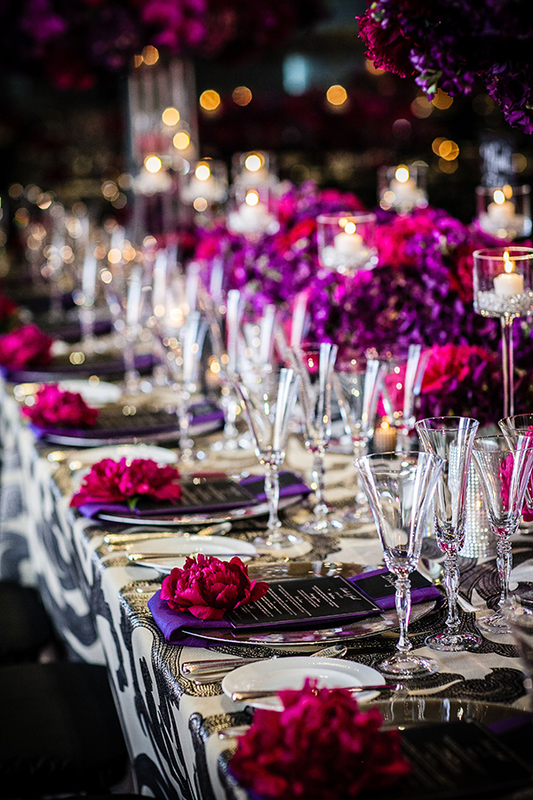 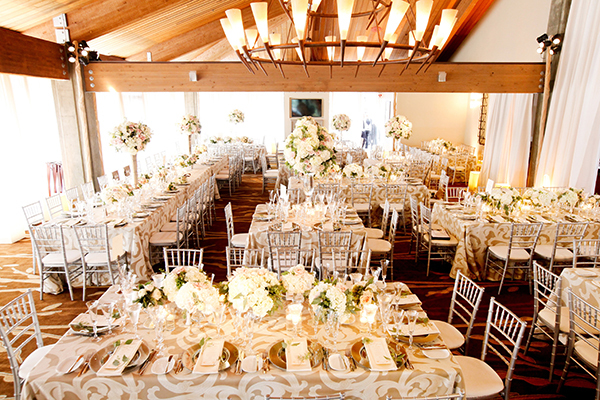 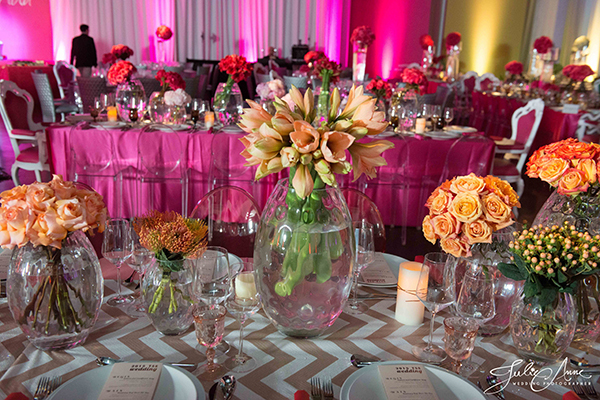 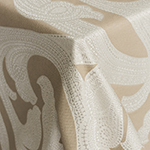 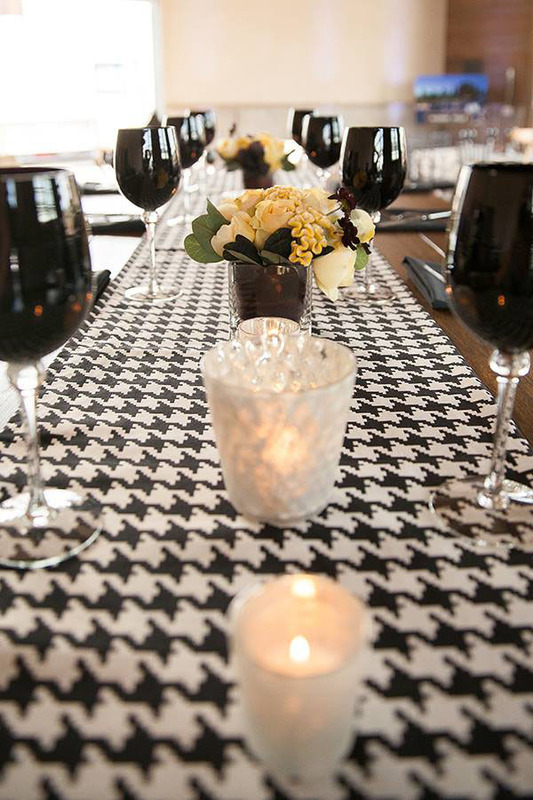 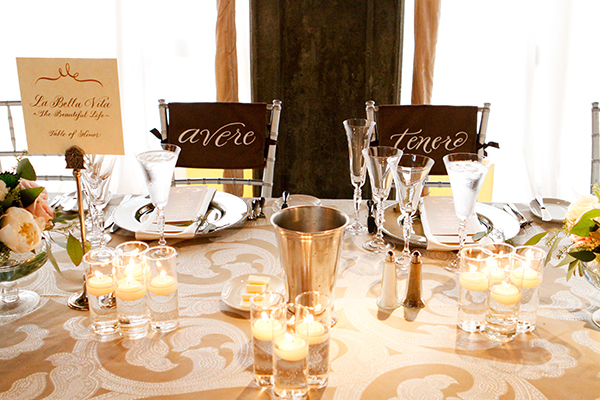 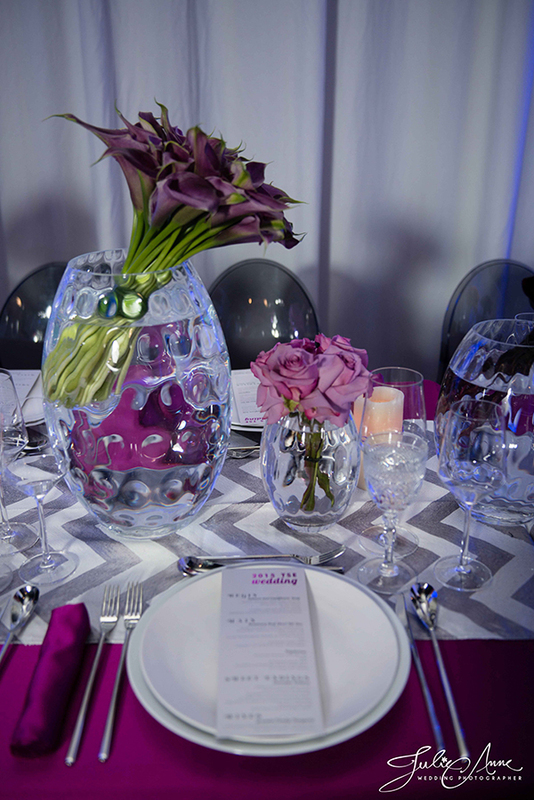 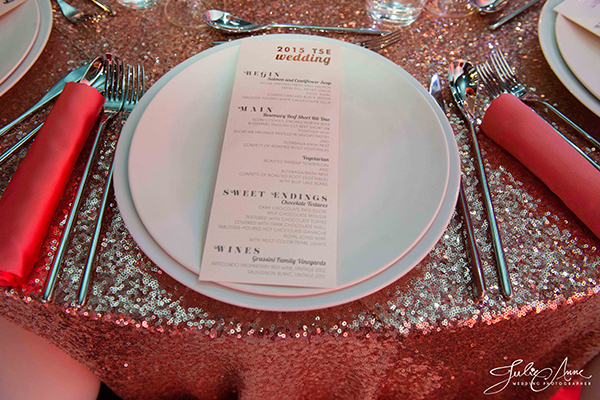 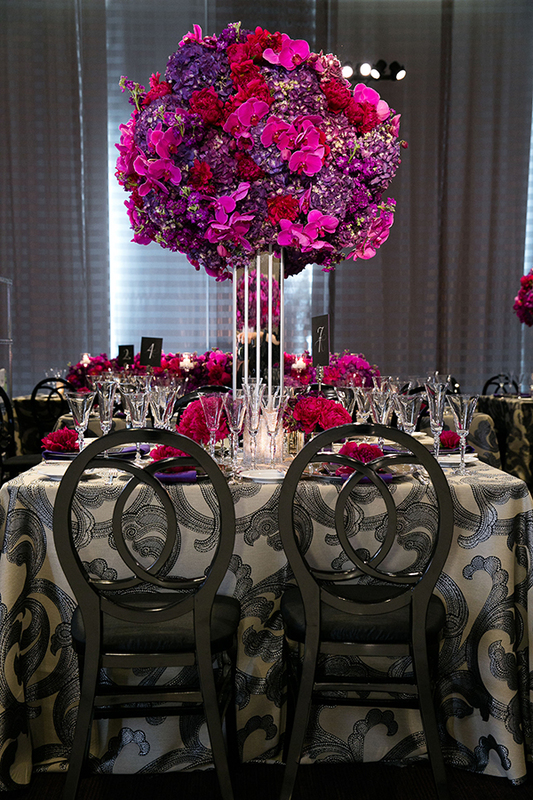 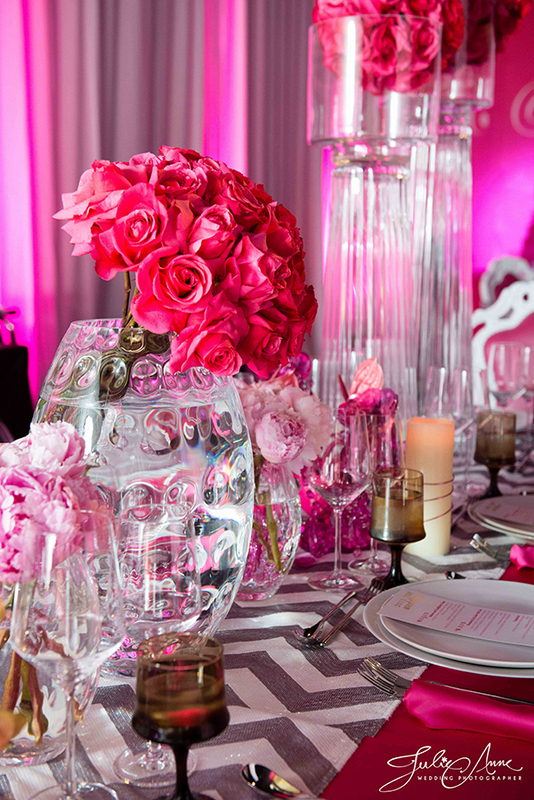 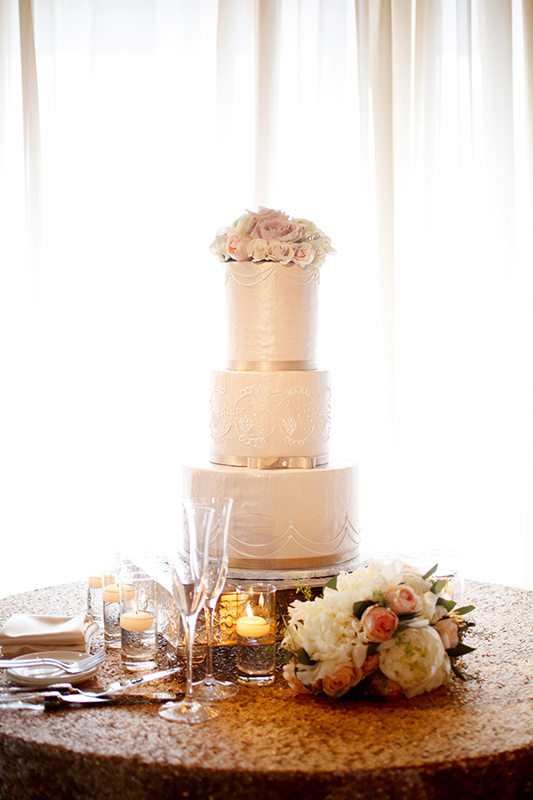 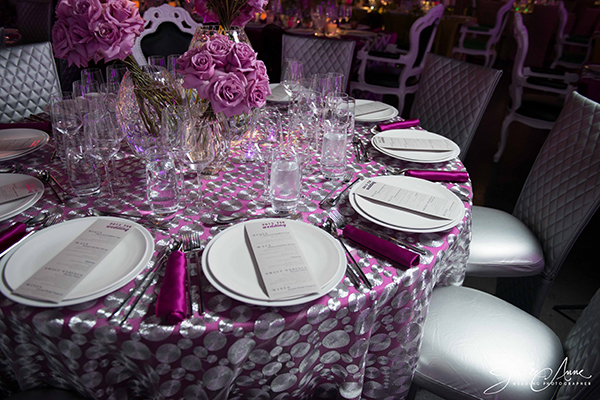 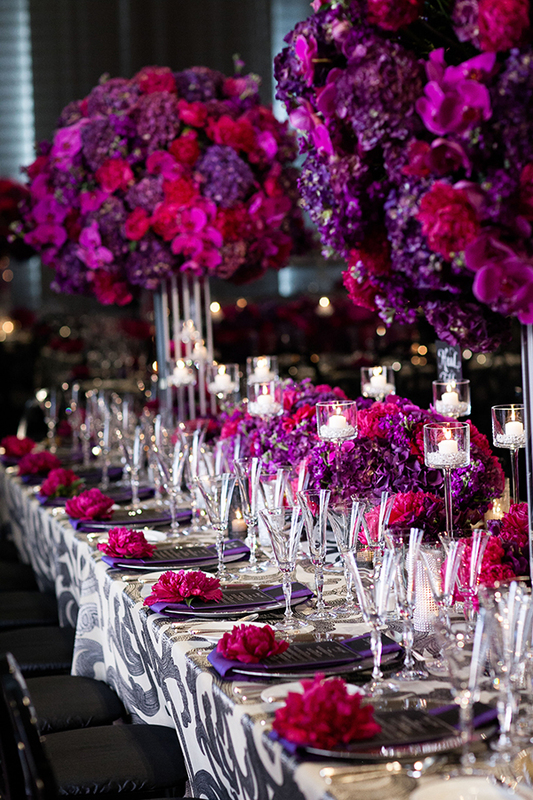 The innovative tables combined monochrome linens and flowers in jewel tones with overlays of our sparkling metallics. 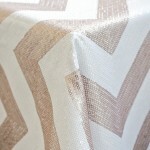 Playing with Geometric Prints for Summer! 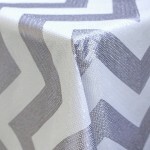 Summer is the best time to go bold, and we are having a ball playing with geometric prints! 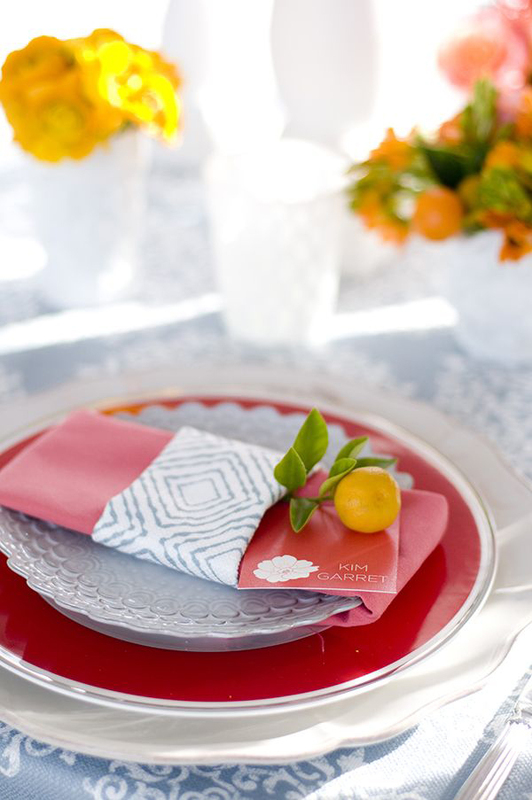 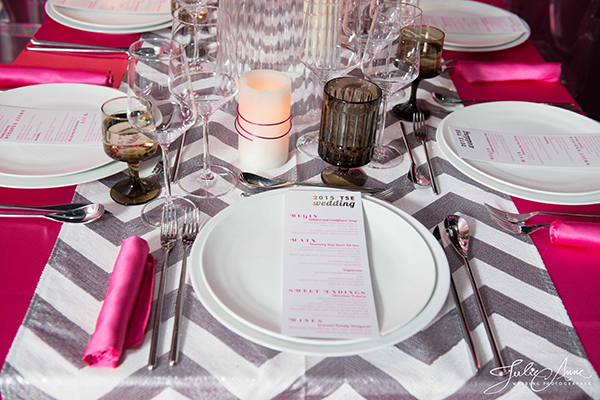 Whether you incorporate a petite pattern with modern table runners, style standing cocktail tables with a graphic stripe, or create a showstopping Head Table with a bold print, you can’t go wrong! 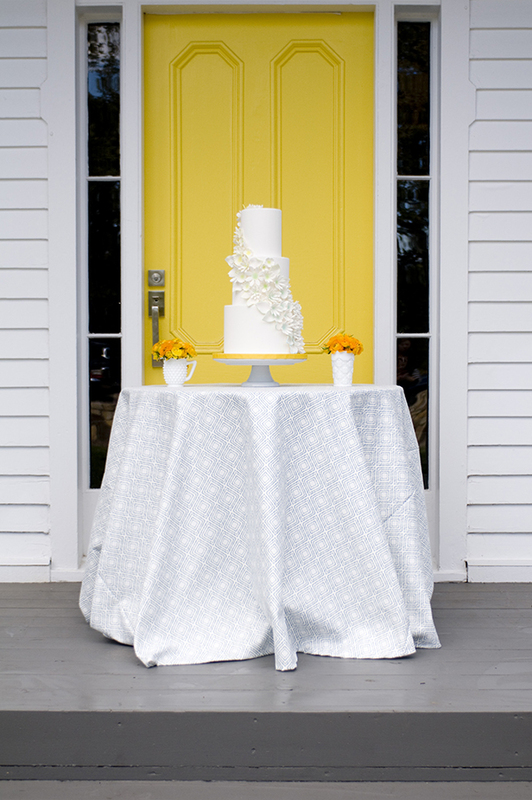 The petite check of our Pippa Linens in soft blue have been a favorite for sweetheart or cake tables, but we’re excited to announce that this print is now available in quantities to style a full event! 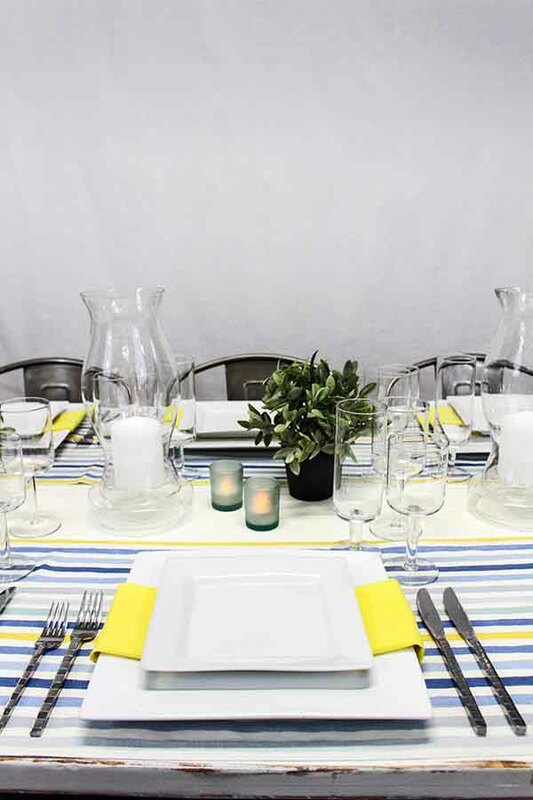 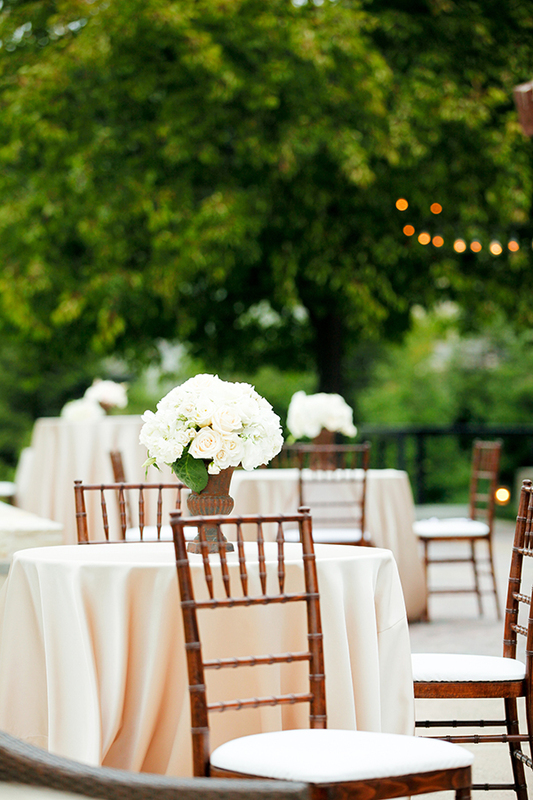 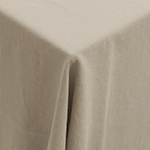 We love the slightly preppy feel to this chic linen – perfect for a backyard summer wedding or an al fresco winery affair! 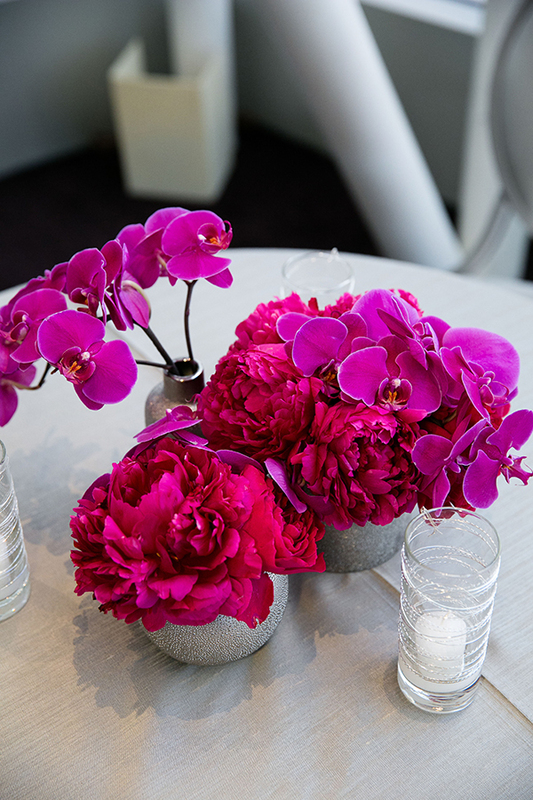 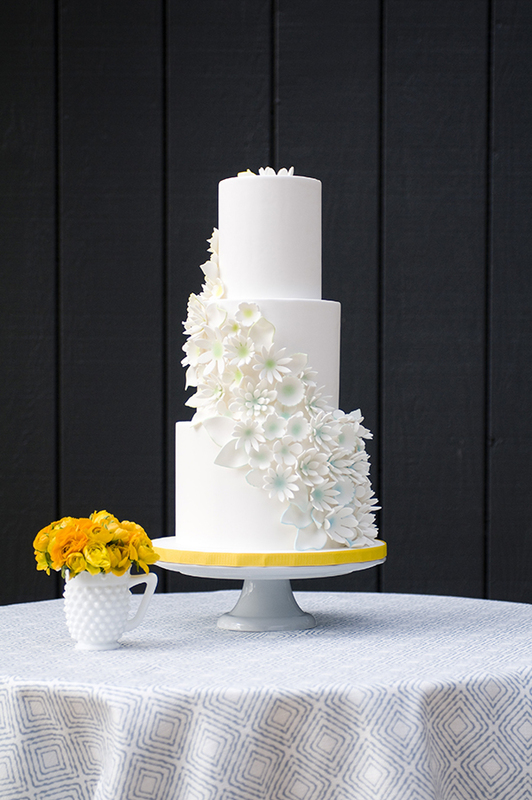 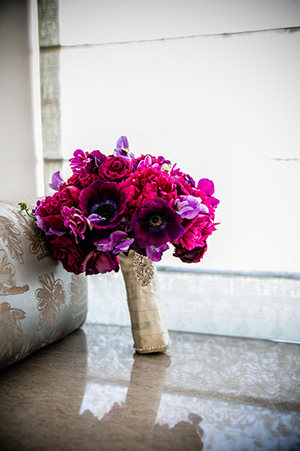 The small print makes it possible to go bold and colorful with flowers – we can’t wait to see what our brides will come up with!